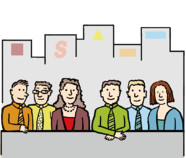 Infoteam transforms sales capabilities based on what’s most important to customers. Most companies carefully research what customers expect of their products and services, but few, if any, ask customers what they expect of their salespeople. They design their sales process based on assumptions about what’s important without knowing what really matters to customers. Infoteam has taken a different approach to sales process improvement by interviewing more than 1000 customer executives to understand what really matters to them. We have incorporated the findings into our offerings to help B2B sales organizations succeed by demonstrating their professionalism and leveraging their sales process as a competitive advantage. Most companies carefully research what customers expect of their products and services, but few, if any, ask customers what they expect of their salespeople. They design their sales process based on assumptions about what’s important for their customers without knowing what really matters. Infoteam has taken a different approach to sales process improvement by interviewing more than 1000 customer executives to understand what really matters to them. We have incorporated the findings into our offerings to help B2B sales organisations succeed by demonstrating their professionalism and leveraging their sales process as a competitive advantage. Founded in 1990, Infoteam has worked for more than 2000 clients around the globe to create and implement a business-to-business sales process that helps their organisation stand apart from competitors. The results: a higher win rate, more reliable sales forecasts and better account penetration. Headquartered near Zürich, with coverage across Europe, Asia and North America, our consultants work in 15 languages, helping clients in all major business sectors. Learn how customers want you to sell. 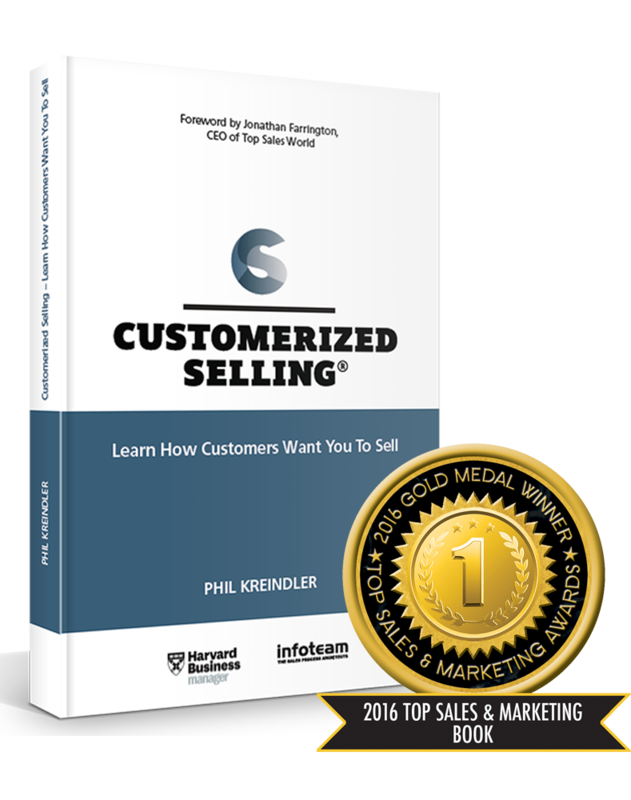 In Phil Kreindler’s book, Customerized Selling, he incorporates how customers define good selling into all aspects of sales force development. Research we carried out with the Harvard Business Manager shows how customers define good selling and where they see the greatest need for improvement. Visit our resource centre for FREE guides. The B2B Selling Health Check is based on the Success Factors of successful Sales People in over 2,000 Infoteam customers globally. In just 20 minutes get a snapshot of how good your sales approach is.